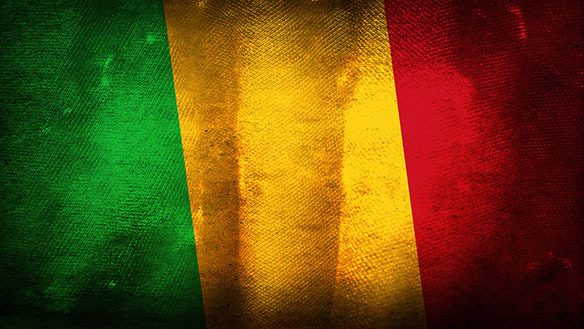 It has now been one year since Mali’s descent into instability began. The crisis has seen many phases while local and international actors continue to work out a strategy to respond to it. In early January 2013, the jihadist groups launched fresh attacks on government’s positions, igniting a precipitated France-led military response. There are a number of reasons why it has taken Mali’s partners so long to respond and the French military intervention still has many unanswered questions. Procrastination and ambiguities from the international community are the results of being caught off guard by recent events, and they are a function of long-held threats perceptions, threats analysis and policy design of some of the key actors with interests in the region. For a long time, main players with interests in the Sahel have had their own interpretation of the challenges, which has affected the breath of interventions strategies over the years. Among the various competing interests and interpretations, those of three main actors stand out, the U.S., France and Algeria. For the U.S., terrorism in the Sahel has been one of its major security concerns. There is fear that, in addition to the recurrent Tuareg insurgencies, the whole Sahelian space, the so-called ‘Belt of Insecurity,’ poses a terrorist threat to U.S. national security. It is so because the perceived growing influence of the fundamentalist groups and the spread of their influence in the region. Yet, the U.S. response to the threat needs to be reassessed. The U.S. has invested heavily in its counter-terrorism initiatives in the region (USD120 million from 2002-2006 and USD500 million since 2006), including the Pan-Sahara Initiative, Interagency Trans-Sahara CT Initiative/Partnership, and capacity-building and targeted operations with regional partners; however, the growing influence of Al-Qaida in the Islamic Maghreb (AQIM) and the proliferation of jihadist groups stands to challenge the effectiveness of the U.S. approach. Furthermore, the apparent lack of decisiveness in the U.S. approach to Mali’s crisis owes much to its attempts to accommodate Algeria’s fears. Indeed, the ambiguity noted in Algeria’s various declarations stemmed from the fear of destabilization as a result of any eventual return of Salafist members to Algeria, in addition to the need to manage the sensitivities of the Tuareg communities. This perception was justified with the attacks on the In Amenas gas site. Mokhtar Belmokhtar, a dissident from AQIM, carried out the operation, even though there are doubts as to whether Mokhtar reacted to French intervention more than he wanted to signal to the AQIM leadership that expelled him that he remains relevant. Importantly, Algeria confirmed its zero-tolerance approach to terrorism, but showed weakness in its border control strategy. The absence of the Salafist group affiliated to the AQIM since 2006 is a result of the country’s successful counter-terrorism initiatives. Defeated both politically and militarily at home, the Salafist Group for Preaching and Combat (GSPC) found a haven for its activities in the Saharan desert. But AQIM has remained a medium to long-term security threat to Algiers. While Algeria and the U.S. advocacy for dialogue and insistence on the elections are understandable, it fails to take into consideration the risks of further deterioration in a divided country in which half was under the control of jihadist elements with little interest in law and order. Even though France has received praises for its latest engagement in Mali, her stakes in the region stem not only from her historical relations as a former colonial power, but also from a growing interest in the strategic proximity of the area and its untapped natural resources. Uranium in Niger is vital for the French nuclear company AREVA. And though the current crisis is the collateral damage of NATO’s intervention in Libya, a relatively strong sympathy for the Tuareg in Paris has fuelled suspicions of French interference over the years. While still in power, Malian President Amadou Toumani Touré pointed at France’s role under Nicolas Sarkozy in the rise of the new Tuareg rebellion. President Touré’s declaration came before the escalation of the conflict, but after a meeting in Paris between Tuareg representatives and French officials. Notwithstanding this, jihadist groups in the Sahel made serious miscalculations in their recent attempts to move southward. In an apparent attempt to replicate their successes of last year, Islamist rebels in northern Mali launched fresh attacks on government positions in early January. These attacks resulted in another defeat of the Malian army and the fall of the city of Konna, situated 650km from Bamako. Other cities were targeted, but the downfall of Bamako would have been the biggest blow to the country and the region. Like Charles Taylor’s onslaught on Monrovia in the early 1990s, the latest victory of the Islamist groups has sent a shock wave through the country and once again brought to the fore the imminent threat of violence and jihadism spreading across Mali and beyond. The Islamist attacks come against the backdrop of a perceived lack of progress in the negotiation process. Ansar Dine, one of the main Islamist rebel groups, has renounced its previous undertaking to end hostilities and break away from terrorist organisations. It claimed that the government of Mali was not prepared to heed its demands, namely the enforcement of Shari’a in the regions under its control, and greater autonomy. In addition to the persistent political incoherence in Bamako, two important factors should be considered in the recent flare-up of violence in Mali. Firstly, the rebels wanted to take advantage of the procrastination of the international community, as far as military deployment is concerned. Though the United Nations (UN) passed Resolution 2085 authorizing the deployment of an African-led International Support Mission in Mali (AFISMA), it was held up by technicalities. Training has to be provided to the Malian army, which is supposed to be at the forefront of the engagement, logistical considerations must be worked out, and financial responsibilities have to be clarified. While ECOWAS has earmarked 3,300 troops for deployment, there was speculation that the operation would not see the light of the day until September 2013. Were the UN and its partners trying to buy time while hoping that the negotiations would make war irrelevant? This seemed to be the thinking in many quarters. It goes without saying that all of these delays have given the impression that external partners are reluctant to engage in yet another military operation with an uncertain outcome. Secondly, the Islamist groups probably intended to put pressure on the government to force it to negotiate on their terms. The strategic goal of this is to raise their bargaining power and relevance within the emerging dynamics of the situation on the ground by increasing their hold on the territories under their control. For some time now, the process has stalled in spite of many public declarations by all parties involved. Contentious issues remain, including the secularity of the state and the degree of autonomy to be granted to the northern region. While the authorities in Bamako accept the principle of negotiation, the desire to address the humiliation of past defeats did not subside; nor did the need to preserve the territorial integrity of the country. Bamako considers all five groups (AQIM, MIA, Ansar Dine, MUJAO and MNLA) to be enemies, responsible for the effective partition of the country. Undoubtedly, France’s military reaction to the Islamist progression southward was timely. It is evident that, in spite of the efforts made and material acquired recently, the Malian army has not yet recovered its full operational capacity. In calling on France for help, interim President Touré clearly appreciated the imminent threat to his country and the region. His call coincided with a similar one from the outgoing Chair of the African Union (AU), Benin’s President Boni Yayi, to have NATO troops deployed; though it is not clear whether he was aware of the implications, given the recent history of NATO’s involvement in Libya. The wounds are still fresh as observers continue to highlight NATO’s responsibility in the deterioration of the security situation in the region. In the same vein, the African Standby Force only exists in name, even though the AU has taken bold steps (AMISOM in Somalia) to respond to security challenges in recent years. The ensuing dynamics of this intervention are myriad. Mali finds itself at war by default. Togo, Ghana, Benin, Senegal, Niger and Nigeria have committed combat troops while the United States, United Kingdom and other European Union countries have pledged support to France’s intervention. Mali can also rely on the regional solidarity of Algeria, Libya, Tunisia and Mauritania. Some of the vital issues have been more or less addressed, including the timeframe, coordination among various units, logistics and financing. The African Union meeting in Addis Ababa has focused extensively on Mali while the Conference of Donors helped shed some light on the financial responsibilities. Meanwhile, the military actions put the negotiation process on hold and will speed up the deployment process. The French air force continues to hunt down the armed groups in Gao, Timbuktu and Kidal, destroying their bases and training camps. Many months without any government authority in the northern region facilitated arms trafficking that beefed up the already sophisticated military arsenal of the rebel groups. It is also possible that the capacity of the groups has been exaggerated. But a quick and clean victory should not be expected and unconditional loyalty by Mali’s allies might dwindle along the way. Fear of retaliation by the jihadists could also force some countries to keep a low profile. Serious humanitarian backlashes are to be expected and likely to worsen the situation for the civilians trapped in the crossfire. Importantly, the main challenge will be to keep control of those areas eventually liberated from the control of the Islamist groups. The National Movement for the Liberation of Azawad (MNLA), defeated and expelled from the region, is already warning against such a move. This is certainly one of the less controversial French military involvements in Africa, mainly after the fin de non-recevoir to Central African Republic President François Bozizé. France has acted in line with international expectations and in reaction to an explicit call from Mali’s interim president. Nonetheless, a long-term key question is, what should be done with Africa’s national armies? Since the end of the Cold War, few of them can withstand challenges from non-state armed groups. Initiatives such as the African Crisis Response Initiatives (ACRI/ACOTA), RECAMP and many others sponsored by the U.S. and France to improve the domestic capacity of African states have not yielded convincing results. Is it not time to rethink both national and regional defense strategies? And what about giving serious attention to sincere and effective security sector reform? France has once again been propelled by circumstances into a sensitive field that ignites passionate debates on its relations with the continent. Given domestic challenges, the risks for President Francois Hollande are as great as the possible benefits derived from denying Jihadists a sanctuary that could become a threat to all. Anyone could become a target and years of efforts in consolidating regional and global peace could be put to waste, with devastating consequences for humanity. In the words of French Defense Minister, France’s military Operation Serval has four broad objectives: prevent the terrorists from taking control of Bamako, destroy their training camps and military bases, secure state institutions, Malian and French citizens and reinforce the capacity of the African troops to take over. The African Union has challenged its members to take responsibility for the continent in order to dispel the feeling of constant suspicions of French neo-colonialism.